For those classfellows who are considering the creative-writing option for the Term Paper, it will be necessary to have me sign off on your proposed format in advance. The proposal must take the form of a set of failure standards -- applying the falsification concept from experimental science, where a theory is ranked as scientific only when it is capable of being falsified in a reproducible trial. This criteria requirement arises from creative submissions in previous courses, where creativity was more than once mistaken (by the student author) for open license. At the same time, it has proven to give the student a helpful planning template and a good stimulus to .... productivity. The creative project must be accompanied by a concise scholarly essay of two to three pages in length justifying the academic validity of the project. Murasaki Shikibu is to Japan what Homer is to Greece, Shakespeare is to England, Goethe is to Germany & the T'ang poets are to China. I would add to this: what Cervantes is to Spain, what Cicero is to Rome, what Balzac is for France, & what Tolstoi is to Russia. That is, an indispensable book, large in content, substance, scope & significant: and essential for a truly cultured place in our world. This by way of improved understanding of our first course text, the very famous Madame Butterfly. On the question of Japan's civilisation homogeneity, the BBC ran an important series published online here with a valuable link list of related articles. The article supports the statement from lecture this week that 99% of people in Japan are ethnically pure Japanese and non-ethnic Japanese are denied citizenship even when born in Japan. One especially helpful edition is here. Click on the slideshow within this article for a useful sample of opinion on immigration from ordinary Japanese. These articles are relevant to our understanding of the need for civilisation translation and the difficulty presented by the necessary indeterminacy of radical translation. I sedulously avoid in lecture the use of Western labels in my introduction and explanations of Japanese aesthetic concepts. 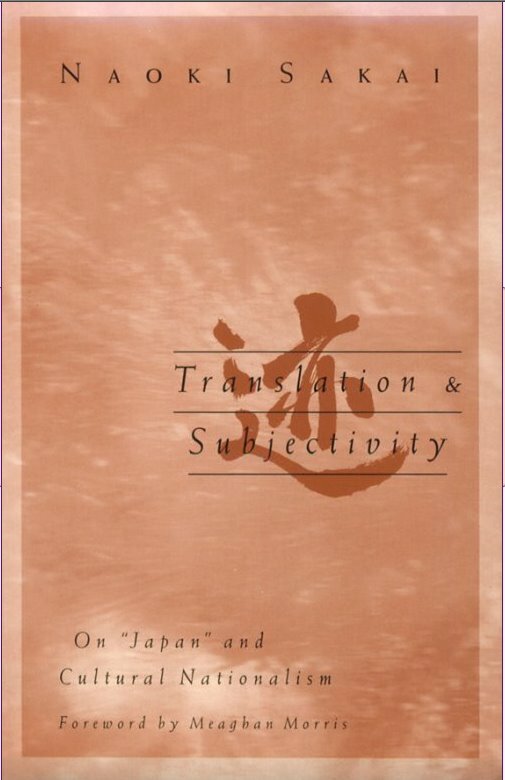 Two of the course axioms presented in lecture are, one, that Japan and the West are two distinct civilisations, each with its own exclusive fundamental assumptions; and two, that translation -- even radical translation -- is indeterminate. There are many labels for these type of concept: "pastoral" and "symbol" are two examples. And, indeed, some of the elements of the overarching aesthetic seem to have an easy Western description. What I am detailing, with some labouriousness, as "the positive presence of absence" is very temptingly similar to the Euclidic concept of gnomon, popularised by literary scholarship of James Joyce (from "The Sisters" story in his Dubliners) as indicating absence. My general objection to this is that once this type of translation is done, then Japan disappears: it is just one more Western colony. 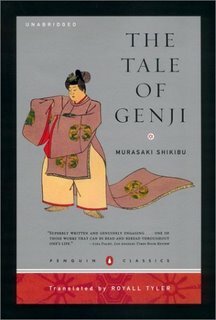 Terms like gnomon and lacuna and pastoral have very powerful cultural -- or, better, civilisational -- history, meaning and resonance; none of which apply to Japan. There is superficial similarity but if the concept is pegged to a Western idea then the meaning in Japan is obliterated. Symbolism is a strong illustrative case. In the West, semeiotics is not simply what we do, it is in effect what we are. 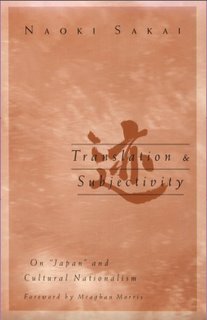 The dualistic assumption that there are visible things and things behind them that have deeper -- nay, real -- meaning is encoded into our individual & collective mental template: semeiotics is the defining feature of Plato & Aristotle, the Hebrew and Christian scriptures, Augustine & Boethius, Descartes & Hegel, Freud & Jung. To give just one example, the idea that Church and State are seperate spheres starts with Jesus' dictum that one is to "render unto Cæsar that which is Cæsar's and unto God that which is God's," and is more deeply encoded by Augustine's Civitas Dei which declares that the City of Man and the City of God are distinct realms which, though they interpenetrate, demand seperate responses from we who live, at any one time, in one, the other or both. With this cultural potency -- from the type-archetype construction in the Old & New Testaments to Freud's dogma of the unconscious and exotic interpretational analysis of dreams -- semeioitics is almost what it means to be Western civilisation. Indeed, in the West's modernist period, ideational chauvanism and colonialism was the (unexamined and arrogant) default assumption. Joseph Campbell was egregiously exemplary in this regard: wandering in lecture across space and time, a facile exegete pronouncing this or that object a symbol of that or the other. Of course, Campbell had merely read his Golden Bough (Frazer being, if it were possible, an even more obliviously conceited pedant) with disarming naïveté and the simple faith of the child. Frazer or Campbell didn't, but we can and should make the blindingly obvious observation that Japan formed a cultural consciousness without any -- I say any -- contact with, again, any of these ideas or notions. If it is not plain to any scholar among you that there is no flagrant empirical reason why Japan, given the foregoing, should have a mental template that (happy accident for Western writers with a bent toward self-promotion and imperialism in scholarship) is identical our own; then there is, surely, at least a strong influence in the direction of caution and suspension of easy assumption. Surely, much the better to us to work for that moment of "no-nous" which will give the thrill of perceiving the literary material with a Japanese sensibility for just a flash: a precious, precious flash.